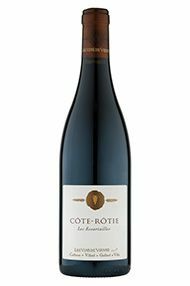 A long-standing BBR favourite, Les Essartailles contrasts nicely with the Sotanum, its fruit coming from both the Côtes, Blonde and the Brune and its aromatics enlivened by the addition of 3% of Viognier. The 18 months of elevage shroud the wine in a youthful tannic grip, beneath which there is elegant black fruit, which is beguilingly sweet at its core. If one believes the old adage about imitation and flattery, then Les Vins de Vienne should be justifiably proud of the numerous growers now making wine from the ancient vineyards of Seyssuel, just to the north of the old Roman town of Vienne. 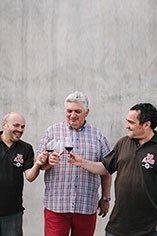 The role of the founders, Messrs Gaillard, Cuilleron and Villard is now one of benevolent consultancy and today it is winemaker Pascal Lombard who is guiding the style and building the reputation. In the manner of the Sorcerer’s Apprentice, the off-spring has now out-grown all three of its progenitors, but this does not seem to have had a detrimental effect on quality, particularly with the Domaine wines, the best of which are offered below.